Friends of mine just gave birth to their first baby. Like generations before them, this couple has carefully planned and prepared for this child. The nursery was painted, tiny clothes were lovingly folded and hung, and a meaningful name was selected. They attended childbirth classes, read all the books, consulted all the experts. No couple has ever been better prepared. As you well know, you have been catapulted down the road of parenthood. Not for the weak of heart, this path is full of bumps, hills, and unexpected adventures. It is sometimes hard to navigate, will leave you uncertain of your parental capabilities, and will bring excitement at every turn. One thing is for sure- this life with your child will be full of surprises. Your child will surprise you by eating more food than any toddler could possibly pack away, and less than a bird could survive on, depending upon the day of the week. Your child will surprise you when he mimics the “F” word that you thought he didn’t hear when you stubbed your toe on his crib. Your child will surprise you by eating a huge lunch after complaining of a belly ache and staying home from school. Your child will surprise you by throwing up on his school desk after you send him to school with a belly ache, convinced that he was faking. Your child will surprise you when he climbs out of his crib, creeps into your room unnoticed and decides that watching his parents in bed is a spectator sport. Your child will surprise you when he swears his homework is done every night for a month and then brings home a warning of failure note from his teacher. Your child will surprise you by bringing home a macaroni necklace and expecting you to wear it to church on Easter Sunday and Mother’s Day. Your child will surprise you by his creativity when he draws on the walls with indelible marker, and scratches his initials into the top of the antique dresser in his room. Your child will surprise you when he remembers your birthday with flowers he hand picked from the neighbor’s garden. Your child will surprise you when you realize he is stronger, faster, smarter and more articulate than you are. Your child will surprise you when he returns from borrowing your car and he’s left it clean, with a full tank of gas. Your child will surprise you when you realize he is a man who puts the needs of others before his own, takes responsibility for his own destiny and cooks dinner not only for himself, but for you, too. Your child will surprise you when he walks down the aisle of a church, or a college graduation, or stands at attention for a promotion, and you wonder when he grew to be so tall and handsome, and where the years went. I really love Greek yogurt. Mixed with a banana, a handful of almonds andsunflower seeds, it is the power breakfast that keeps me running from six until noon, and helps me bypass the carbs that settle around what used to be my waist. However, Greek yogurt is expensive. Now that everyone is home for the summer, every food item has to undergo an evaluation to measure its cost against its relative family value. In short, I have to trim the budget. Madison women are known for our prowess in a budget conscious world. In the seventies, my mother gardened, canned, put up jam, and yes, made her own yogurt for her family of ten. She started with a yogurt maker, but within hours all five cups were gone. She soon switched to a gallon size glass Sultana peanut butter jar, and used the pilot light in the gas oven to keep it warm. It made wonderful albeit thin yogurt. I still remember how my dad loved to mix it with homemade preserves and eat it as an evening snack. Nobody sells gallon sized peanut butter jars anymore. They do sell it in plastic buckets but it would take several years for my family to eat all that peanut butter. The thought of that amount makes me gag. Still, I needed something large and made of glass- not easy to find in this age of cellophane and Tupperware. Undaunted, I dug deep into the cupboards and produced a large glass applesauce jar I had kept for storing home made soup. I looked up a basic yogurt recipe on the internet. Easy- heat 2 cups of milk until boiling, cool, add 2 tablespoons of starter, and incubate for about twelve hours. 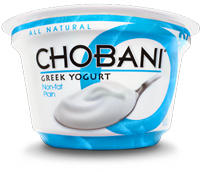 To make Greek style yogurt, just strain off the whey (technical talk for milk products) leaving the dense, tart concoction I crave. I was able to boil the milk without trouble, and added the starter when it reached the proper temperature. It was then that I hit a snag. I have an electric oven. There is no pilot light. It stays as cold as a stone when not in use. When turned on, its lowest temperature is about one hundred and seventy degrees- about seventy degrees too high. When my kids were growing up, one of our favorite television shows was MacGyver. As any child of the eighties knows, MacGyver was a genius at finding unorthodox solutions to unusual challenges. He made repairs from chewing gum, pen barrels and duct tape. He had a clock powered by potatoes. Not only that- he had a social conscience and was opposed to guns. I thought I died and went to Heaven. I think the kids outgrew him before I did. My kids dubbed me Mrs. MacGyver, because I too, did some unorthodox handiwork. I have duct-taped sneakers, toothpasted nail holes and stapled hems with the best of them. Also, I have performed repair jobs to which I will never admit, for fear of prosecution from past landlords. Suffice to say, I am fierce with a power drill. So I was not about to admit defeat over a small thing like this. The crock-pot was too hot. The cooler filled with warm water too cold. After much pondering, I decided to try an electric heating pad. I tried measuring the temperature on the lowest setting, by sticking my kids’ oral thermometer inside a folded area. It kept beeping at me, displaying a message that means either the thermometer is improperly placed or the patient is dead. I gave up, figuring I couldn’t go wrong with a Medium setting. I carefully wrapped the jar filled with the precious white substance and secured the pad with a large elastic band. Twelve hours later, I had produced the same runny yogurt of my mothers’ days. It took me another twenty minutes to strain the yogurt through cheesecloth, which, by the way, is not easy to find. At long last, I produced my first batch of Greek yogurt. I’m not sure how much money I saved, but MacGyver would be proud.